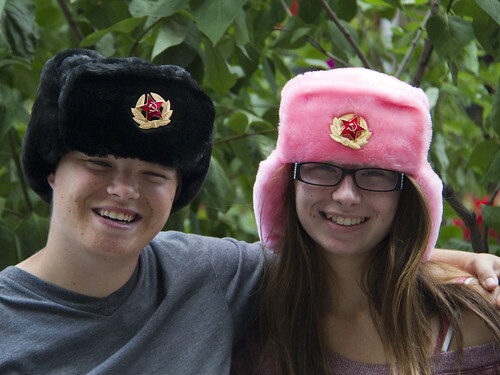 Abby and I bought these awesome hats at the souvenir flea market in St. Petersburg. The seller made us a good deal on them -- 300 rubles for each hat. Don't we look so awesome?